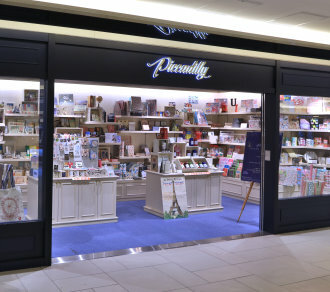 Piccadilly, named after the well-known cultural landmark and shopping centre Piccadilly Circus, presents an alternative of European lifestyle to our guests, by providing diversified products, which are imported from Europe and England. Classic literature books, fiction and recipes are displayed along with items, ranging from unique stationery, artful lifestyle goods to creative cultural products, to allow our visitors having a European-like experience and savouring the distinguished characteristics of fusing culture into daily lives. E-Star Art & Write Pop-up Store （From now until May 1） E-Star Art & Write Pop Up store is now opened! The store features new and limited products from renowned brands, including Macaron watercolor collection from UMEA and Brut Rose Pencil Sharpening Machine from Caran d'Ache. Bring home your favorite items now!